(Statement from Oromo Liberation Front (OLF) , July 4, 2015) The Oromo Liberation Front (OLF) strongly opposes the planned visit to Ethiopia of the US President Barack Obama on the end of July 2015. As Ethiopia is one of the most brutal regimes of the world, OLF believes that such a visit will result in strengthening the dictatorial minority regime, will boost the regime’s confidence to strengthen its ruthless human rights violations, will give a green light to the regime to continue its repression, economic exploitation, and marginalization of various nations and nationalities of the country under its usual pretense of democracy. 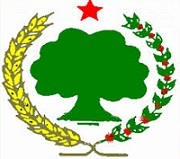 OLF also believes that a lasting national and security interest of the US is better protected not by blessing and supporting such a well-known ruthless regime, but by being on the side of the people, supporting the struggle of the peoples of the country for freedom, democracy, and justice by using its leverage through exerting the necessary pressure on the regime on power. Posted on July 5, 2015, in Uncategorized and tagged OLF, Oromo Liberation Front, President Barack Obama. Bookmark the permalink. Leave a comment.